Lucy Lauer embodies a combination of warmth, good humor and understanding to help clients face the most difficult of life’s realities. Since 1997, she has helped many people find their way through anxiety, grief, and uncertainty as they create paths to a valued life. She collaborates with individuals, couples and families to identify and enhance their strengths in order to achieve their personal goals. 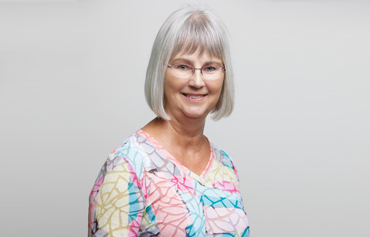 Lucy’s 26 years’ experience as a Registered Dietitian provides a unique background in the treatment of eating disorders, obesity, and other chronic medical conditions. She also brings expertise to the growing concern of professional caregiver burnout and balancing career and family life. Lucy works with adolescents, 13 years and older, adults, couples and families to enhance relationships and ease the challenge of inevitable life transitions.